You have finally decided to make use of your old and damaged car, which is rusting away in your garage or backyard by selling it to a car salvage yard in Chase, MI. This is a profitable way of getting rid of an old car, which you no longer use. Before letting the tow truck pick up the junk car, there are certain things that you need to remove. Know that because most salvage yards are only interested in the scrap metals contained in it, and then because you could make more money if you sell some of the useful parts separately. There are also some items you definitely need to hold on to. A car is like a house. It has the tendency of accumulating items over time. If you have owned the car for awhile, chances are, it may contain many personal items such as jewelry, perfumes, sports items, and even clothing and shoes. Comb through all the storage compartments including the trunk, under the seats and floor mats, above visors and under the seats to ensure you do not leave behind any personal belongings. Most importantly, do not forget to empty the glove box which most of the time stores important documents such as the car title and registration, along with other personal documents such as copies of your car insurance. You would not want these documents to land in the wrong hands. Even when the car has retired from service, the license plates are still useful. You might need it on your next vehicle if your state allows for transfer of the plate from one vehicle to another. In some cases, your insurance policy might need you to remove the plates. Likewise, your DMV is also likely to ask for the plate when canceling the title. Whatever the case, do not surrender your junk car to a salvage yard in Chase, MI, without removing the license plates. If your car is still operational before selling it to a salvage company in Chase, MI, ensure you use up all the gasoline. If it has been sitting in your backyard for a while but with fuel in it, attempt to empty the fuel tank before junking the car. Some yards will not accept a vehicle with gas still in the tank. 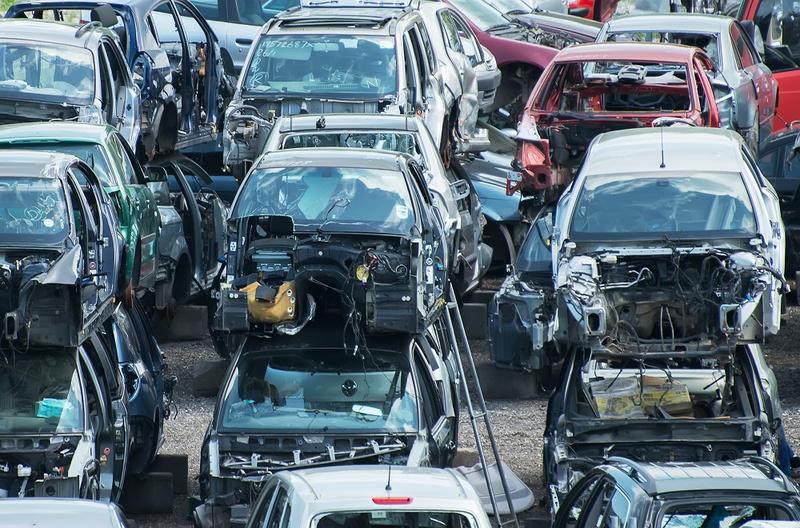 If you have not yet received a quote from your chosen scrap salvage yard in Chase, MI, find out some of the valuable components that you can remove and sell separately. Note that once you get a quote, you must surrender the car in the condition you described. However, you should remove valuable components before getting a quote because you should be able to make more money from the items shown below than what you could get when you sell the junk car intact with all the components. Now all of these aren't necessarily valuable, so best to ask an expert or decide for yourself based on the time it takes to remove each item from your vehicle versus the value you might receive in a separate sale. So you know, once you remove the tires, remember to replace them with others to enable the car to be towed to the junkyard. There you have it. Instead of storing a junk car in your garage or yard, sell it to the best salvage yard in Chase, MI, and earn something for it. But also remember to remove the above-mentioned items, some of which you can sell separately and earn some extra cash from. Come to Fair Salvage Company for all your salvage and recycling needs.